David Hume believes that ownership rules are not grounded upon natural rights which exist in a state of nature independently of civil society but that ownership rules are a creation of civil society and draw their validity from their social usefulness. "The qualities of mind are selfishness and limited generosity: And the situation of external objects is their easy change join'd to their scarcity in comparison of the wants and desires of men"
Beginning with Hume's second condition, the scarcity of goods and their easy change, it is possible to understand why ownership is necessary. 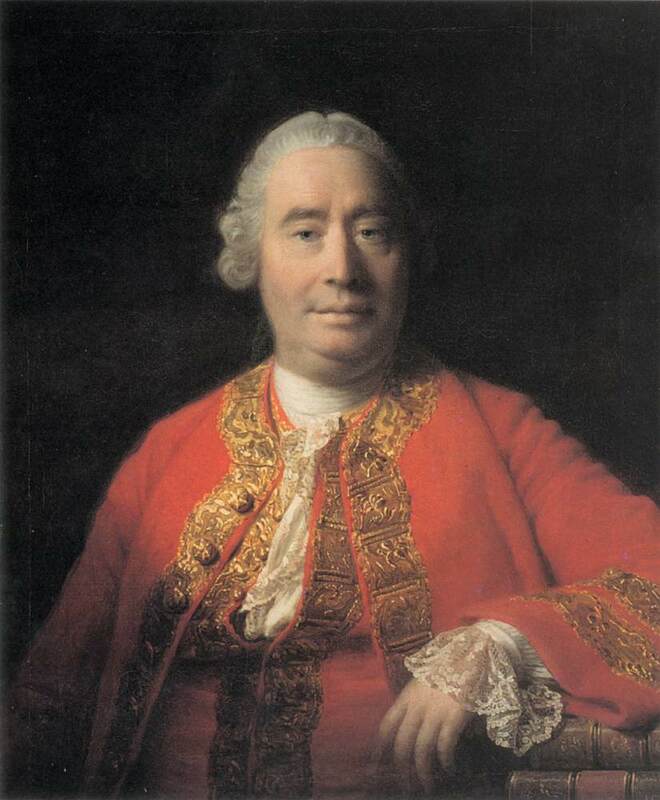 There are three kinds of goods according to Hume: the satisfaction of our minds, the external advantages of our bodies, and the enjoyments of such possessions we have acquired by our industry and good fortune. Hume believes that it is only the third of these goods, external possessions, which need be the object of the ownership relation, i.e., the only kind of goods which need to be regulated by ownership rules. His reasons are that the first goods, the satisfactions of our minds, are perfectly secure and that the second goods, the advantages of our bodies, cannot be to the advantage of others. "No one can doubt, that the convention for the distinction of property, and for the stability of possession, is of all circumstances the most necessary to the establishment of human society, and after the agreement for fixing and observing this rule, there remains little or nothing to be done towards settling a perfect harmony and concord." Any owner who has to rely upon utilitarian calculations to determine what he owns may well be unable to reliably know what he owns. Ownership in this sense would not be certain. "Why raise land-marks between my neighbor's field and mine, when my heart has made no division between our interests; but shares all his joys and sorrows with the same force and vivacity as if originally my own? ... And the whole human race would form only one family; where all would lie in common and be used freely, without regard to property". However, in the case that goods are moderately scarce and not at all abundant, someone with increased benevolence will have to know what he owns in order to know what he may rightfully give to others. Ownership rules will therefore still be necessary because a person may only give what he owns. Disagreement over who is to be helped rather than selfishness is the cause in this situation which gives rise to the need for ownership rules. "It also must be confessed, that whenever we depart from this equality, we rob the poor of more satisfaction than we add to the rich, and that the slight gratification of a frivolous vanity in one individual, frequently costs more than bread to many families or even provinces." A more equal distribution is more desirable because it benefits more people. But, Hume also argues that imposing an equal distribution is both "impracticable and pernicious". It is impracticable, according to Hume, because men's different degrees of art, care, and industry will immediately upset equality. It is pernicious, because the authority to enforce equality must degenerate to tyranny. In addition Hume has a third reason for rejecting equality. People ought to own what they produce or improve by their own industry in order to encourage useful habits and accomplishments. According to Hume, ownership rules must promote the "general interest" if they are to be morally justifiable. The content of the form of ownership which Hume discusses in the Treatise is defined by five rules. The rules are: present possession, prescription, accession, succession, and transference by consent. In the Enquiries, Hume adds a sixth rule, a labor criterion of acquisition that people own what they labor of produce or improve. These rules constitute a form of ownership which resembles the form of private ownership. Hume says that owners' rights over what they own are absolute and entire. Of Hume's theory of ownership, his most significant contribution is the analysis of the conditions which give rise to the need for ownership rules. Without any scarcity of goods or labor there is no need for any ownership rules at all. Hume also insists that ownership is rule constituted and created. Source: James O. Grunebaum. 1987. Private Ownership. p. 92-110. As I have mentioned before, I enjoy watching Milton Friedman's clips on Youtube. This time I would like to share a really old interview of Friedman, in which he speaks about social policy, minimum wages, social security and "the big brother problem", i.e. the role of government. Although the video is centuries old, the message is still highly valid for today. I really wish there were more Milton Friedman likes living in this all too keynesian world and reminding us of the fundamentals of economics and society. "In general, to establish right of first occupier over a plot of ground, the following conditions are necessary; first, the land must not be inhabited; second, a man must occupy only the amount he needs for his subsistence; and in the third place, possession must be taken, not by an empty ceremony, but by labor and cultivation, the only sign of proprietorship that should be respected by others in default of legal title." According to Rousseau, whatever the precise interpretation is put on the right of first occupier in the state of nature, full moral rights of ownership arise only in a civil society founded by compact. The second clause in Rousseau's description of first occupancy, that one may only appropriate an amount needed for subsistence, reflects a strong anti-wealth posture which he shares with the Natural Perfectionists. Rousseau would limit riches so that "no one shall ever be wealthy enough to buy another, and none poor enough to be forced to sell himself", although he realizes that in fact the limitation is unlikely to obtain. In contrast to Immanuel Kant, Jean Jacques Rousseau is acutely aware of how non-owners fare under private ownership. While Rousseau believes that first appropriation, what he calls first occupancy, grounds ownership through rights created through the social compact, he does not believe that everyone's well-being or that everyone's freedom is promoted by private ownership. Non-owners, as well as the other poor, may be virtually enslaved by an ownership form which permits great accumulation of wealth. "Every man has naturally right to everything he needs; but the positive act which makes him proprietor of one thing excludes him from everything else." Rousseau seems to be referring here to the transition from a stage of human society in which all was owned in common to a later stage, brought about the social compact, in which individuals have rights over things that exclude others. 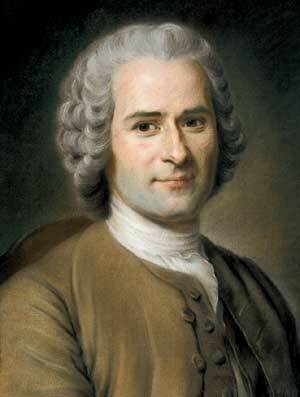 Rousseau does not argue that the rich have a duty to help the poor. The right is therefore best understood as describing a goal for society, i.e. a society in which everyone has what he needs. Rousseau's ideal society, were it possible, is a small democracy in which everyone knows everyone else, in which there is no very rich nor very poor, and thus there is little conflict and rivalry. For Rousseau, moral rights and ownership are only fully established in a civil society founded by social compact. The compact requires each person to give up all of his rights to what others possess if they reciprocally give up all of their rights to what he possesses. The rights which an individual exercises over what he owns are subordinate to the rights of the community as a whole: "the right which each individual has to his own estate is always subordinate to the right of the community over all". It is only logical for Rousseau to conclude that ongoing stability is possible only if the society has the right to regulate ownership. Following the tradition of Locke, Immanuel Kant views first appropriation as occurring in a state of nature before civil government. Kant also explicitly says that first appropriation establishes a natural right with which no government may interfere. While Locke permits civil government to regulate the form of ownership to promote the common good, for Kant the only change that civil government may make in private ownership is to impose a law prohibiting bequests of land to succeeding generations for all time. Even so, Kant requires compensation to be paid to owners from whom this right is taken. 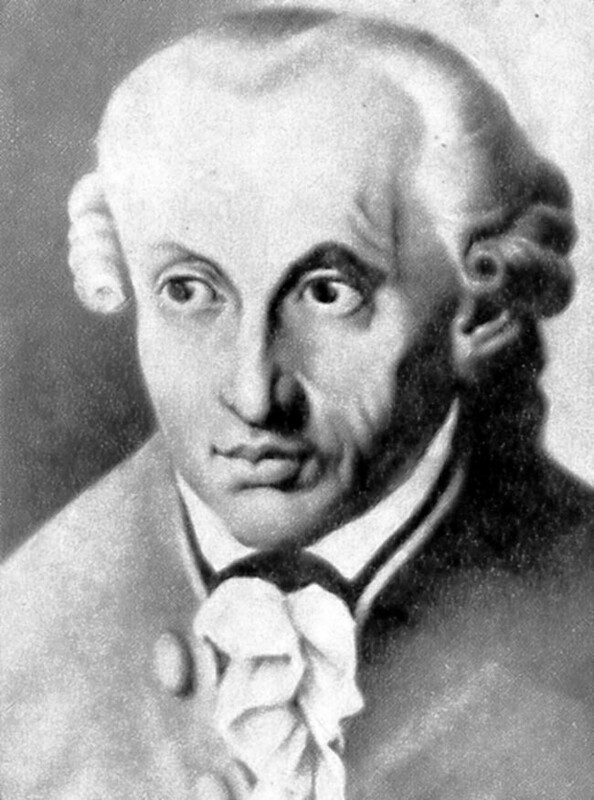 The novel aspect of Kant's characterization of first appropriation is that it is based upon "an act of private will" rather than upon labor or some other act. Kant's "acts of private will" require neither laboring upon nor adding value. Kant does say that each appropriator makes "an acknowledgment of being reciprocally bound to everyone else to exercise a similar and equal restraint with respect to what is theirs". There does not appear to be anything in Kant's formula to preclude someone from declaring the planet Uranus to be his own. "In relation to all others, this possession is (as far as one knows) a first possession and as such is consistent with the law of external freedom and is, at the same time, implied in the original community of possession, which in turn, implies the a priori ground of the possibility of private possession." "In this way, taking possession of a secluded piece of land is an act of private will without being an arbitrary usurpation. The possessor bases his act on the concept of innate common possession of the earth's surface and on the a priori general will corresponding to it, which permits private possession of land (since otherwise unoccupied things, e.g. land, would in themselves and in accordance with a law become ownerless things). Thus the possessor originally acquires a piece of land through first appropriation and withstands by right anyone else who might interfere with his private use of it." The essence of ownership for Immanuel Kant is the right to something one owns even though the object is not, at the moment, in physical possession of the owner. Owners have rights over what they own which they may exercise even if what is owned is not within their immediate physical control, e.g., rights one has over a book which is lent to and thus in the possession of a friend. First appropriation grounds private ownership because of the presupposition which Kant calls "The Juridical Postulate of Practical Reason". Kant's Juridical Postulate of Practical Reason asserts, "... it is possible to have any and every object of my will as my property. In other words, a maxim according to which, if it were made into a law, an object of the will would have to be itself (objectively) ownerless ... conficts with Law and Justice"
I might be weird, but I just enjoy watching Milton Friedman's video clips on Youtube. Here is one excellent clip on which Friedman talks about greed and capitalism. No matter do you agree or disagree with him, one thing is for sure: He surely had a talent of argumentation and ability to defend his opinions! Alakerta - Pelaajista urheiluseurojen omistajia? Kirjoitukseni urheiluseurojen omistuksesta julkaistiin perjantaina Aamulehden Alakerta-palstalla. Idea kirjoitukselle syntyi, kun kesällä seurasin Valkeakosken Hakan tapausta sekä useamman jääkiekkoseuran tilannetta. Urheilubisnes toimialana ei ole perinteisesti ollut taloudellisesti terveellä pohjalla, eikä tälläkään hetkellä elä helpossa tilanteessa. Uusia ideoita varmasti kaivataan. Osaamisammateissa, kuten asianajajat, lääkärit yms., ammatinharjoittajat ovat usein tietyn vuosimäärän yrityksessä työskennellessään kasvaneet yritystensä osakkaiksi eli partnereiksi. Tämä partnership-omistusmalli näyttäisi toimivan pääsääntöisesti hyvin, joten kenties se olisi laajennettavissa myös muihin osaamisammatteihin. Urheiluseurat voisivat olla tästä yksi esimerkki. Ohessa on Aamulehden tekstini. Aito ja alkuperäinen löytyy painettuna Aamulehdestä 10.9.2010. Entinen NHL-pelaaja Sami Kapanen on kuopiolaisen Kalpan omistajia. Lopetettuaan keväällä pelaajauransa Kapanen siirtyi seuran toimitusjohtajaksi. Urheiluseuran omistajana voi tehdä pienen omaisuuden, mutta on aloitettava suurella. Menestyvän urheiluseuran omistaminen on monen entisen pelaajan ja manageripelejä pelanneen pikkupojan unelma. Pelaajien siirteleminen pelimerkkeinä, voittoisan paletin rakentaminen, suuren yleisön kiinnostuksen saavuttaminen sekä urheilun jännityksen aistiminen tekevät urheiluseuratoiminnasta erityisen kiinnostavan kokonaisuuden. Kuitenkin urheiluseuran pyörittäminen on sekä meillä että maailmalla ollut omistajilleen enemmänkin päänvaiva ja kallis harrastus kuin kannattavaa liiketoimintaa. Urheiluseuran omistaminen eroaa merkittävästi yrityksen omistamisesta. Yritystoiminnan tarkoitus on yleisesti varsin yksinkertainen: tuottaa voittoa omistajilleen. Urheiluseurassa sen sijaan tulisi aivan ensimmäiseksi määrittää toiminnan tarkoitus. Onko seuran toiminta harrastustoimintaa, huippu-urheilua vai liiketoimintaa? Tämä valinta määrittää sekä seuran toimintamuodon että toimintatavan. Talkootyö ja voiton maksimointi ovat vaikea yhtälö yhdistettäväksi. Jos seuran päämääränä on harrastustoiminta, on rekisteröitynyt yhdistys yleisin toimintamuoto. Seuran rooli on toimia jäseniensä yhteenliittymänä ja mahdollistaa harrastuksen tuottama mielihyvä jäsenilleen. Toiminta tapahtuu lajin ehdoilla ja jäsenet vastaavat kustannuksista. Huippu-urheilussa sekä yhdistys että yritys ovat toimintamuotoina mahdollisia. Rajanveto amatööri- ja ammattihuippu-urheilun välillä on veteen piirretty viiva ja se riippuu sekä lajista että sarjatasosta. Huippu-urheilun erottaa harrastustoiminnasta kolme tekijää. Ensinnäkin toiminta on tavoitteellista ja kilpailuhenkistä siten, että vain parhaat pelaavat. Toiseksi kustannukset kasvavat sen verran suuriksi, että urheilijat eivät pysty toimintaa omasta pussistaan rahoittamaan, joten tarvitaan ulkopuolisia rahanlähteitä. Kolmanneksi seuran ja huippu-urheilijan tavoitteet erkanevat toisistaan. Seuran tavoitteena on menestyä omassa ympäristössään eli muita seuroja vastaan. Huippu-urheilijan ensisijaisena tavoitteena on saavuttaa paras mahdollinen pelipaikka ja toissijaisena tavoitteena auttaa seuraa menestymään. Tämän seurauksena syntyy pelaajamarkkinat, joissa pelaajia edustavien agenttien rooli on korostunut. Jos urheiluseuran tarkoituksena on liiketoiminta, on osakeyhtiö luonnollinen toimintamuoto. Osakeyhtiölain mukaan osakeyhtiön tarkoituksena on tuottaa voittoa omistajilleen. Urheilumaailmassa realistisempana tavoitteena on yleisesti pidetty tappioiden minimoimista. Positiivinen yllätys oli, että jääkiekon SM-liigaseurat pystyivät viime vuonna parantamaan tuloksiaan ja niiden yhteenlaskettu tulos päätyi noin miljoona euroa plussalle. Osa seuroista maksoi omistajilleen jopa nimellistä osinkoa. Liiketoimintaa harjoittavan seuran tärkein strateginen valinta on päättää, missä liiketoiminnassa se on mukana. Yleisiä vaihtoehtoja on viisi. Urheiluviihdebisneksessä urheilu on ydin ja palvelun tarkoituksena on tuottaa yleisölle elämyksiä. Lipputulot ja fanituotteet ovat pääasiallisin tulonlähde. Kasvattajaseurabisneksessä liikeideana on kasvattaa pelaajia parempiin seuroihin ja saada palkkio kasvatustyöstä. Tällöin seuran paras pelaaja voidaan myydä kesken kauden esimerkiksi Venäjälle, jos vain hinta on kohdallaan. Mainosbisneksessä liikeideana on hyödyntää seuran ja pelaajien huomioarvo mainos- ja televisiosopimuksina. Ravintolabisneksessä urheilutapahtuma toimii sisäänheittäjänä ja varsinainen raha tehdään suurelle väkijoukolle myytävästä ruoka- ja juomapalveluista. Viides vaihtoehto on kaikkien edellisten yhdistelmä. Viime vuonna jääkiekon SM-liigaseurojen yhteenlaskettu liikevaihto oli 80,6 miljoonaa euroa. Keskimäärin jääkiekon SM-liigaseurojen liikevaihto oli 6 miljoonaa euroa. Muissa Suomen palloilulajeissa luvut ovat paljon pienemmät. Useat esimerkit osoittavat, että urheilullinen menestys ei takaa seuran taloudellista menestymistä eikä taloudellisella ylivoimalla voi ostaa mestaruuksia. Kuitenkin urheiluseuroissa yleisesti uskotaan siihen, että mitä enemmän resursseja toimintaan panostetaan, sitä parempi on urheilullinen menestys. Tämä pätee erityisesti urheiluseurojen suurimpaan kuluerään eli pelaajabudjettiin, joka esimerkiksi jääkiekon SM-liigassa muodostaa sosiaali- ja vakuuskulut huomioiden noin puolet seurojen kuluista. Epäselvää kuitenkin on, kuinka paljon kustannusten kasvattaminen esimerkiksi pelaajabudjetin osalta tuottaa seuralle taloudellisesti. Tästä seuraakin urheiluseuran omistajan dilemma: jos pitäisi valita urheilullinen menestys tai taloudellinen menestys, kumpi kannattaisi valita? Mestaruushaaveiden mentyä voi seuralle olla taloudellisesti kannattavaa kaupata muita seuroja kiinnostavat pelaajat kesken kauden pois ja saada täten resursseja seuraavaa kautta varten. Kausikortin ostaneiden fanien ymmärrystä tämä toimintatapa kuitenkin koettelee. Pelaajat ovat urheiluseuroille sekä tärkein menestystekijä että suurin kuluerä. Pelaajien rooli seurojen taloudellisessa menestyksessä on kuitenkin jäänyt vähäiseksi. Pelaajat ovat keskittyneet maksimoimaan oman palkkansa pelaajamarkkinoilla. Seurojen taloudelliseen tilanteeseen nähden pelaajien palkkiot ovat ylittäneet seurojen maksukyvyn. Tämä toiminta on voinut jatkua, koska seurojen omistajat ovat olleet valmiita kaivamaan takataskustaan lisää rahaa seuran tappioiden paikkaamiseksi. Konkurssin partaalla on mitattu seuran kannattajien ja sidosryhmien kykyä kantaa oma kortensa kekoon. Urheiluseurojen toiminnan tervehdyttämiseen on olemassa kolme polkua. Ensinnäkin seura voi palata juurilleen ja keskittyä toimimaan jäsentensä yhteisönä ilman taloudellisia tavoitteita. Urheilullista menestystä ja mielihyvää voi saavuttaa myös talkoovoimin. Toisena vaihtoehtona on seuran liiketoiminnan kehittäminen kannattavaksi ja pyrkimys omistaja-arvon kasvattamiseen. Seuran johtaminen tapahtuu taloudellisten periaatteiden pohjalta ja urheilutoimintaan panostetaan taloudellisen kannattavuuden rajoissa. Urheilullista menestystä ei haeta hinnalla millä hyvänsä. Kolmas kehityspolku on kiinnittää pelaajat kiinteämmin osaksi seuran menestystä tekemällä pelaajista omistajia. Palkkapelaajan sijasta urheilija voisi hyvinkin olla myös omistava yrittäjä. Samalla tavalla kuin asianajotoimistot, lääkäriyritykset ja muut osaamisammatit ovat tyypillisesti partnereiden eli ammattia harjoittavien osakkaiden omistamia, voisivat myös urheiluseurat toimia partneri-mallilla. Ollessaan omistajia omilla rahoillaan pelaajilla olisi pitkäaikainen intressi sekä seuran urheilullisesta että taloudellisesta menestyksestä. Tämä olisi omiaan kasvattamaan seurauskollisuutta, vähentäisi ylilyöntejä pelaajapalkkioissa ja toisi suoran tulospalkkioelementin avainhenkilöille. Useimmissa seuroissa 5-6 avainpelaajan omistus voisi riittää tervehdyttämään seuran toimintatapoja ja taloutta. Toinen mielenkiintoinen ilmiö pelaajien omistuksissa on trendi, jossa urheilulla varallisuutta hankkineet pelaajat ovat sijoittaneet pääomiaan kasvattajaseuroihinsa osakeanneissa. 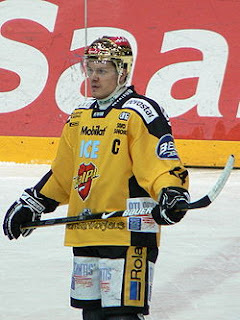 Paras esimerkki tästä on entinen NHL-jääkiekkoilija Sami Kapanen, joka on seuransa Kalpan pääomistaja. Kesän aikana Kapanen siirtyi pelaajan roolista seuran toimitusjohtajaksi. Toivoa sopii, että sekä nykyisiltä että entisiltä pelaajilta löytyy tarvittavaa omistajaosaamista ja sitoutumista, jotta urheiluseuratoiminta saataisiin kestävälle pohjalle myös taloudellisesti. 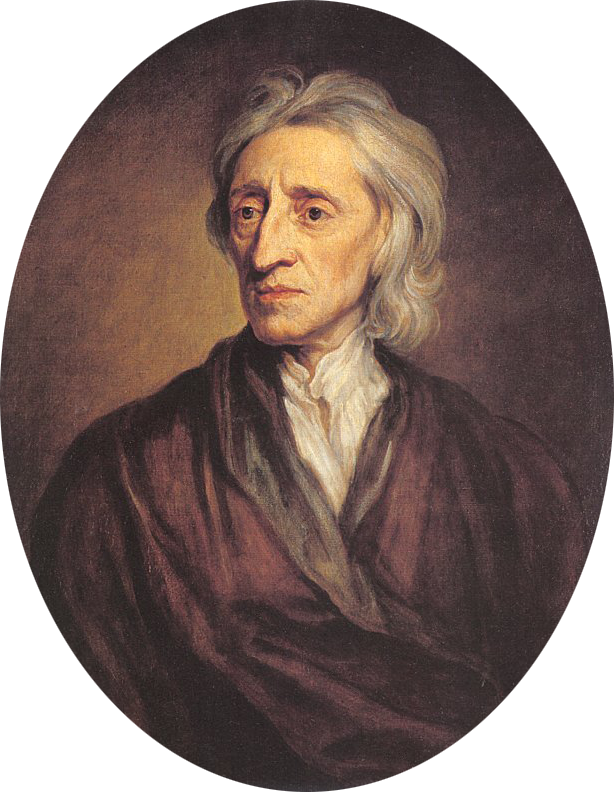 Not many philosophers have written as much on ownership as John Locke has. Locke created one of the first theories of ownership. Locke's theory was based on the right of the first appropriator. It says that the first appropriation of an unowned object is considered to be sufficient reason to justify the private ownership of the object by the first appropriator. The central idea in first appropriation is that the object is unowned. The appropriator performs an act which constitutes his claim to the object, i.e. which functions as the criterion of title for the object. Then, according to first appropriation theory, all rights of the vest in the appropriator. Locke argues that laboring in the state of nature upon some unowned object, land, resources, or goods, makes that object privately owned by the laborer if enough and as good as is left for others to appropriate. Things which require no effort to locate or to appropriate, need not be the object of any ownership relations. Locke also defined the principle of "spoilation limitation". It means that no one ought to appropriate more than he can make use of before it spoils. According to Locke no possible specific form of ownership produces greater utility in the state of nature than private ownership. God, who hath given the world to all men in common, hath also given them reason to make use of it to the best advantage of life and convenience... yet being given for the use of man, there must of necessity be a means to appropriate them in some way or other before they can be of any use, or at all beneficial, to any particular man. Owners may do whatever they wish with what they own within only those limits which are imposed by natural law. A possible specification of the rights of innocent use would include at least the following: the right to possess, the right to use, the right to manage, the right to income, the right to the capital, the right to security, and the rights of alienation by gift, bequest, and exchange. No other specific form of ownership has such a broad range of rights of title. Like Plato and Aristotle, Thomas Aquinas's justification of ownership is grounded upon the idea of human perfection. Aquinas' idea is that a form of ownership is morally justified to the extent that it provides for everyone's good. Aquinas borrows heavily from Aristotle, but there are also significant differences between them. 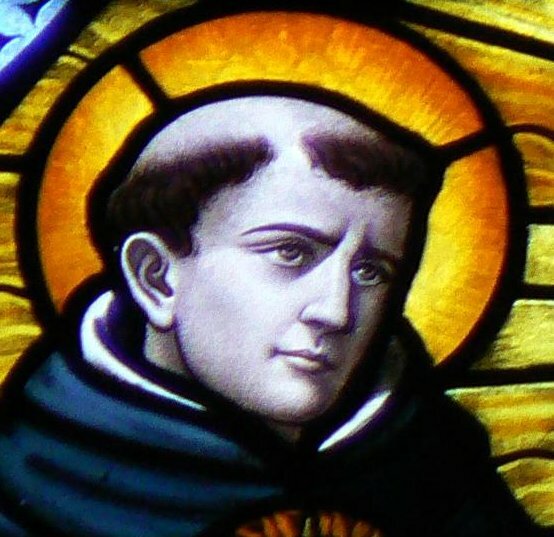 First of all, Aquinas places greater emphasis upon the idea that the products of labor upon the land as well as other produced necessities should be made available to anyone who needs them. Aquinas argues that anyone ought to receive what he needs from the common pool of material goods. In cases of necessity, Aquinas says, "everything is common". Aquinas theory of ownership is based upon his belief that man has a two-fold competence with respect to material things. The first is what he calls the "title to care for and distribute the earth's resources" and the second is the "use and management" of the same. "First because each person takes more trouble to care for something that is his sole responsibility than what is held in common or by many - for in such a case each individual shirks work and leaves the responsibility to someone else, which is what happens when too many officials are involved. Second, because human affairs are more efficiently organized if each person has his own responsibility to discharge; there would be chaos if everyone cared for everything. Third, because men live together in greater peace where everyone is content with his task." While individual owners exclusively have the rights of title to decide how what they own is to be used and managed, individual owners do not have unlimited rights of title to use what they own as they please or to accumulate wealth without regards to others. The use and management of the earth's resources must promote common good. Individual owners are obligated to make decisions governing what they own so that everyone, non-owners included, may benefit. Aquinas even permits a person, who himself is not in need, to take what is owned by another in order to give it to a third person who is in need. However, the right to take what is owned by another will, if frequently exercised, result in productive inefficiency because producers may be unwilling to work hard if they cannot be assured of a secure outcome. Further, non-producers may find it easier to take from producers rather than trying to produce themselves. Land ownership criterion of title, for Aquinas, vests only by inheritance. Land may not be alienated by gift, bequest, or sale. The criteria of title for goods, by contrast, include gift, bequest, and exchange; further unowned found goods such as gemstones or treasure troves become owned by the finder. In this way, Aquinas criteria of title for goods resemble the criteria of title for private ownership. The difference between the two sets of criteria lies in Aquinas' principle that those in need may legitimately appropriate what they need but do not own, which creates a criterion of title that each may own what he needs. Unlike Plato, Aristotle does not consider private ownership second best or less than ideal. At one point in the Politics, Aristotle offers an argument in support of private ownership which must perplex modern defenders of private ownership. He criticizes common ownership because it annihilates the virtue of liberty. "No one, when men have all things in common, will any longer set an example of liberality or do any liberal actions, for liberality consists in the use which is made of private property". Without private ownership, Aristotle believes people will not be able to give to their friends or to those who are in need. Private ownership is, therefore, valuable because of what it allows owners to do for others, not, as in more modern accounts, what private ownership allows owners to do for themselves. Aristotle bases his preference for private ownership over Plato's communal ownership on three grounds not shared by Plato. The first is Aristotle's understanding that what is privately owned will be better managed than what is communally owned. This argumentation is based upon two assumptions: one about the objects of knowledge and the other about human motivation and interest. Second is Aristotle's understanding of what he names natural exchange. And third is Aristotle's understanding of human nature which implies the equalization of desires rather than the equalization of wealth through communal ownership. Aristotle believes that those who would attempt to centrally manage communally owned land might have great difficulty in acquiring all of the information necessary to make good judgments about how the communal land should be utilized. On the other hand, mismanagement through ignorance seems an inevitable outcome. "Private education has an advantage over public, as private medical treatment has, for while in general rest and abstinence from food are good for man in a fever, for a particular man they may not be; and a boxer presumably does not prescribe the same style of fighting to all his pupils. It would seem, then, that the detail is worked out with more precision if the control is private, for each person is more likely to get what suits his case"
Aristotle is a relativist who believes that virtue, which is the rational mean between extremes, is relative to each individual; but it is an objective reality not a subjective one. The implication for ownership is that each person can be better served by administering what he privately owns than he would be served by more distant and impersonal administration. Each individual will more likely have his own unique needs fulfilled through his own rather than another's administration. Therefore, in the search for virtue an individual is better served by managing his own resources. He has more intimate knowledge of what he owns and how what he owns contributes to his successfully achieving his own individual virtuous means. Aristotle highlights human motivation as a reason why private ownership will result in better care being taken of what is owned than will communal ownership. Aristotle believes people think chiefly of their own and hardly at all of the common interest. "Everyone is more inclined to neglect the duty he expects another to fulfill". He also believes the vice of selfishness is rightly censured: "Love of self is a feeling implanted in nature and not given in vain." Kept within the proper measure, self-love for, concern with, or partiality towards what is privately owned is a virtue not a vice. Aristotle argues that because of the special love and care for what is privately owned the thing owned should benefit from the special concern. Unlike the modern conception of private land ownership, Aristotle does not consider privately owned land to be alienable by either bequest or exchange. Land is to remain connected to each family to serve as a means of production the family's subsistence. Each family is actually to have two plots, one near the city and the other near the border in order to inspire unanimity among the people in their border wars. "Property should be in a certain sense common, but as a general rule, private; for when everyone has a direct interest, men will not complain of the another, and they will make more progress, because everyone will be attending to his own business. And yet by reason of goodness, and in respect of use, 'Friends', as the proverb says, 'will have everything in common'... For although every man has his own property, some things he will place at the disposal of his friends, while others he shares the use of them... It is clearly better that property should be private, but the use of it common..."
That individuals may privately own things, both land and goods, for Aristotle implies they will be better cared for by the person who owns them, i.e. the management right of title is best exercised by private owners. Presumably, better management benefits everyone because of increased efficiency. Rights of use must be shared by owners with others who can make use of what is owned. Privately owned lands, therefore, are to be used in order to support the family at a comfortable level and not to create an excess of wealth. Selling the land for money is frowned by Aristotle. "The source of the confusion is the near connection between the two kinds of wealth-getting, in either, the instrument is the same, although the case is different, and so they pass into one another; for each is a use of property, but with a difference: accumulation is the end in one case, but there is a further end in the other. Hence, some persons are led to believe that getting wealth is the object of household management, and the whole idea of their lives is that they ought either to increase their money without limit, or at any rate not to lose it". Natural exchange, which for Aristotle is the true function of household management, is a means of gaining wealth, but limited only to what is useful in a virtuous life, i.e. a life of moderate desires. Natural exchange is contrasted to retail trade which is not a virtue. Aristotle claims that the purpose of retail trade is that of acquiring coin or money without limit and for no additional purpose. What is really salient in Aristotle's condemnation of retail trade is its aiming at unlimited accumulation. Aristotle states that natural exchange occurs because "some have too little and others too much". By "right amount" Aristotle means the amount useful in a life of moderate desire where too many goods are useless of harmful. At one point Aristotle does say that retail trade makes unnatural use of things because things are traded for coin or money. He distinguishes between the natural use and the unnatural use of a thing. Aristotle condemns these unlimited desires because they aim at what is useless of harmful. The right of exchange in Aristotle's concept of ownership is not the private ownership unfettered right of title to exchange goods in order to acquire riches. His concept of natural exchange is much more restricted being limited to exchanges necessary in order for each household to have the material prerequisites of a virtuous life. To this extent Aristotle's concept of private ownership of goods differs from the modern concept. Plato believed that the source of dissatisfaction can be prevented by equalizing wealth through equalizing ownership. If wealth and possessions are equalized, Plato believes, everyone will be satisfied with their allotment. Aristotle, however, pursues a different objection. Even if wealth were equalized, Aristotle sees no reason to assume that discord will cease because people's desires are not equal. Equality of wealth and possessions can be as much of a source of dissatisfaction as inequality of wealth. "The equalization of property is one of those things that tend to prevent the citizens from quarreling. Not that the gain in this direction is very great. For the nobles will be dissatisfied because they think themselves worthy of more than equal shares of honor, on this is also found to be a cause of sedition and revolution". "Where there is equality of property, the amount may either be too large or too small, and the possessor may be living in luxury or penury. Clearly, then, the legislator ought not only aim at the equalization of properties, but at moderation in the amount. Further, if he prescribes this moderate amount equally to all, he will be no nearer the mark; for it is not the possessions but the desires of mankind which require to be equalized, and this is impossible unless a sufficient education is provided by the laws." A society in which everyone is equally well satisfied would, from the perspective of equality, have nothing to commend it over a community in which is equally poorly satisfied. Even if the "correct" level of equalization could be found, equalizing everyone's property would be unjust because people also have unequal needs, unequal deserts, and unequal entitlements. Thus, treating everyone equally will miss the mark and be unjust because some need more, desire more, or are entitled to more. 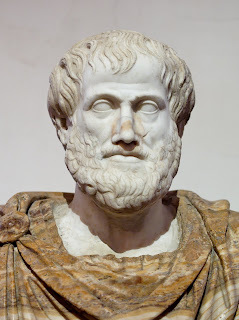 Unequals, for Aristotle, ought to be treated unequally; and to the degree to which people in a society are not equal the "equalization of property" will be unjust. As an ideal, equality of unequals is wrong. In addition, diversity of desires may make satisfaction easier because specific items may be in less demand. Similarity of desires may actually increase dissatisfaction rather than reduce it. Aristotle is convinced that private ownership promotes virtue and that communal ownership does not. One factor is that private ownership is supposedly more productive so that people can live better. Aristotle further identifies private ownership with virtue because private ownership is just, i.e. unlike communal ownership unequals are not treated equally. And, finally, Aristotle believes that private ownership provides the opportunity for virtue insofar as individuals must make choices about the use of what they own. Aristotle's concept of land ownership approximates more closely feudal land ownership than in resembles what is now called private ownership. Also the products of the land may be sometimes appropriated by non-owners who need not ask the owner's permission. Ownership of goods, for Aristotle, differs less from the modern concept. Title of rights of use, management income, gift, bequest, and exchange vest in owners much as they do now. It is virtue which for Aristotle limits the rights of owners to use their ownables to try to increase their wealth and income. Virtue prescribes moderation in wealth as well as in desires. Thus the later justification of private ownership grounded upon free market maximization of wealth and efficiency are in opposition to the virtue by which Aristotle justifies private ownership.